College started again, which means keeping track of classes, homework, examinations, and projects. There’s a lot of stuff to deal with, and having to constantly silence my phone for class, and unsilence afterwards, is something repeatable that should be automated. I want my phone to “know” when I have class, silence itself during class, and then place itself back to full volume afterwards. Once I had all my classes on Google Calendar, I set their descriptions to ‘class’. 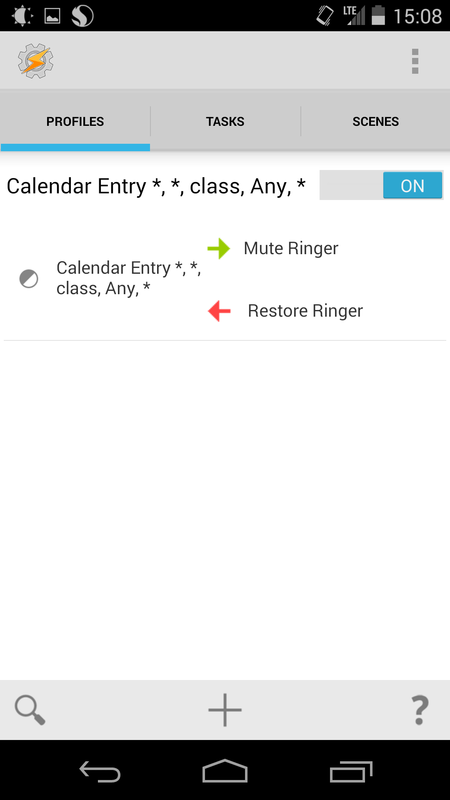 Then I set up a tasker context for calendar entries, and if they contained the keyword in the description, then set my phone’s ringer to vibrate and the media volume to 0. Then once the event is finished, restore both volumes. An awesome app that can be used to create basic “scripts” (essentially if this then that) to automate tasks on your phone. It’s a paid app on Google Play but you can download a 7 day trial from their website. I am not one for purchasing mobile apps, but this one I definitely recommend. 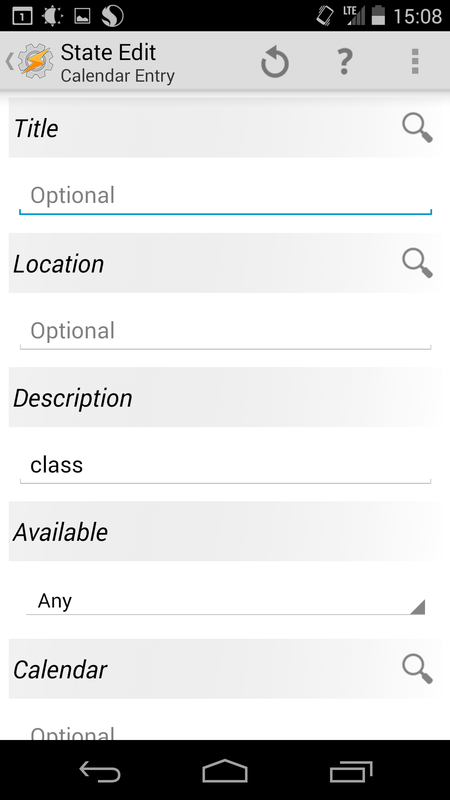 As I mentioned earlier, Tasker is based around the idea of simple if this then that programming. The first thing we need to do is set up a profile (the this). In the profiles tab, press the + button to add a new context. Now in order for the context to be triggered, we need to have calendar entries with ‘class’ (or whatever keyword you used) in their description. This obviously requires you to have your schedule on Google Calendar. For UT students, I highly recommend UT Utilities which can export your schedule to Google Calendar. Otherwise, you can manually create your schedule using repeated events. Whether you are creating or editing your events, make sure the description matches the keyword exactly. And we’re done! Now your context will be triggered whenever you have class and your phone will go to silence mode. Then when your class finishes, the volumes will be restored! No more worrying about having your phone ring during class or forgetting to turn on sound afterwards!